Clinic Synopsis: This clinic will offer strategies for student teachers to get the most of their field experiences while building a reputation as a desirable teaching candidate. 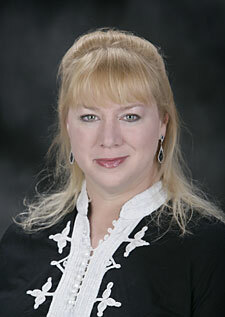 Clinician Biographical Information Amanda Drinkwater is director of bands at Marcus High School (Flower Mound, TX). A native of Thibodaux, LA, she holds degrees from Louisiana State University and the University of Kansas. She received the "Teacher of the Year" award from Marcus High School in 2007. Later, she received the MENC “Excellence in Teaching Music” award, and in 2011, she was the recipient of the prestigious Bayard H. Friedman “Hero Award” for her contributions to music education in Texas. Drinkwater’s bands earn exclusively superior ratings at UIL events and have also appeared at the Bands of America Grand National Championships. Her marching band received the John Philip Sousa Sudler Shield award for excellence in marching band performance. She is active as a pianist, brass specialist, clinician, adjudicator, and guest conductor.